Fig. 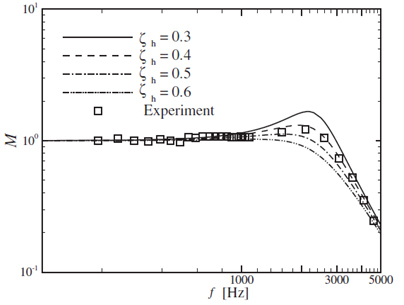 4 Amplitude ratio of the measured pressure fluctuation by the pressure probe (9). fluctuation by the pressure probe (9). 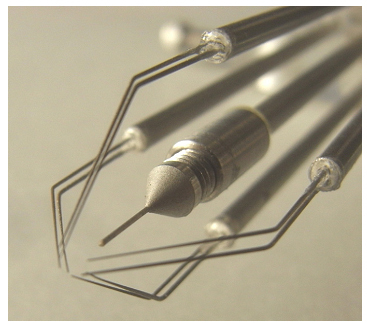 (1) Terashima, O., Izawa, S., Inasawa, A. and Fukunishi, Y., “Streamwise Interfaces of an Isolated Turbulent Region in a Laminar Boundary Layer”, Journal of Fluid Science and Technology, Vol. 7, No. 1 (2012), pp. 140-154. (2) Izawa, S., Maita, H., Terashima, O., Xiong, A.K. 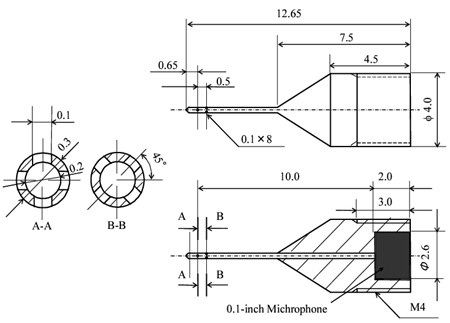 and Fukunishi, Y., “Sound Suppression of Laminar Separating Flow over Cavity”, JSME International Journal Series B Fluids and Thermal Engineering, Vol. 49, No. 4 (2006), pp. 1092-1097. (3) 阿部行伸，森田潔，寺島修，“模型試験と数値解析を用いたトンネル微気圧波性能評価”，日本機械学会交通物流部門大会講演論文集，Vol. 8, No. 68 (2008), PP. 65-66. 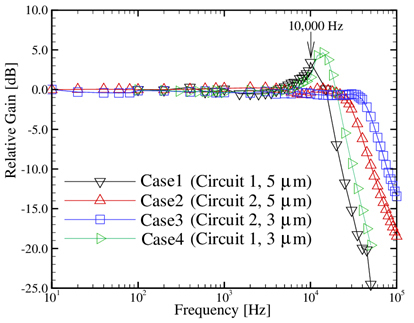 (5) Kodera, T., Nagai, H., Asai, K. and Terashima, O., “Flow-Induced Vibration of a High-speed Train Running in a Tunnel”, Proceedings of KSAS-JSASS Joint International Symposium on Aerospace Engineering (2008), pp. 267-272. (7) Terashima, O., Sakai, Y., Onishi, K., Nagata, K., Ito, Y. and Miura, K., “Improvement of the constant temperature anemometer and measurement of energy spectra in a turbulent jet”, Flow Measurement and Instrumentation, Vol. 35 (2014), pp. 92-98. (8) 寺島修，大西一弘，酒井康彦，長田孝二，髙木正平，“定温度型熱線流速計の周波数応答特性を向上させる試み”，日本機械学会論文集B編，Vol. 78，No. 788 (2012)，PP. 862-866. (9) Terashima, O., Onishi, K., Sakai, Y., Nagata, K. and Ito, Y., “Simultaneous measurement of all three velocity components and　pressure in a plane jet”, Measurement Science and Technology, Vol. 25 (2014), 17pp. (10) 寺島修，渡辺徹，森田潔，阿部行伸，酒井康彦，長田孝二，大西一弘，“流体騒音研究へのPOD複合解析の適用”，日本機械学会論文集B編，Vol. 79，No. 808 (2013)，PP. 2764-2768. (11) Terashima, O., Sakai, Y., and Nagata, K., “Simultaneous measurement of velocity and pressure in a plane jet”, Experiments in Fluids, Vol. 53 (2012), pp. 1149-1164. (12) 大西一弘，寺島修，酒井康彦，長田孝二，伊藤靖仁，“速度・圧力多点同時計測結果へのPOD-LSE複合解析の適用による二次元噴流の乱れエネルギ輸送の評価”，日本機械学会論文集，Vol. 80，No. 809 (2014)，P. FE0010. 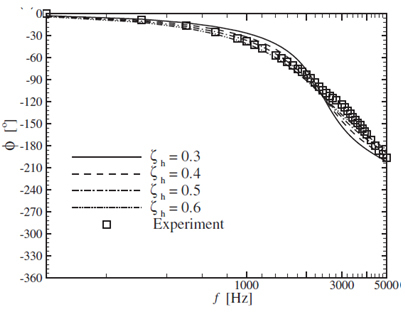 (13) Terashima, O., Sakai, Y., Nagata, K., Ito, Y. and Onishi, K., “Experimental verification of the turbulence models for the pressure diffusion process in a turbulent plane jet”, International Journal of Mechanical Sciences, Vol. 89 (2014), pp. 12-20. 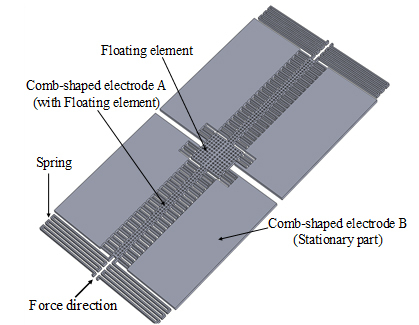 (14) Terashima, O., Sawada, T., Sakai, Y., Nagata, K., Hida, H. and Shikida, M., “Measurement of wall shear stress by using Micro-fabricated Hot-film and Floating-element Sensors”, Journal of the Japanese Society for Experimental Mechanics, Vol. 13 (2013), pp. s1-s6. 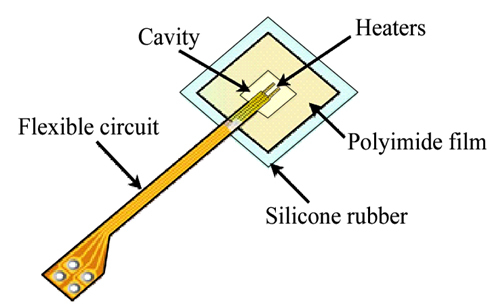 (15) Sawada, T., Terashima, O., Sakai, Y., Nagata, K., Shikida, M., Ito, Y. and Muramatsu, S., “On the measurement of wall shear stress with a patch-type micro-fabricated hot-film sensor”, Journal of Fluid Science and Technology, in Press. 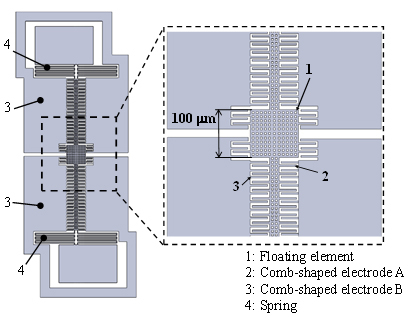 (16) Sawada, T., Terashima, O., Sakai, Y., Nagata, K., Shikida, M., Hida, H., Onishi, K. and Ito, Y., “A technique for the measurement of wall shear stress based on micro fabricated hot-film sensor”, ASME 2013 International Mechanical Engineering Congress and Exposition, Vol. 7B (2013), 7 pp. 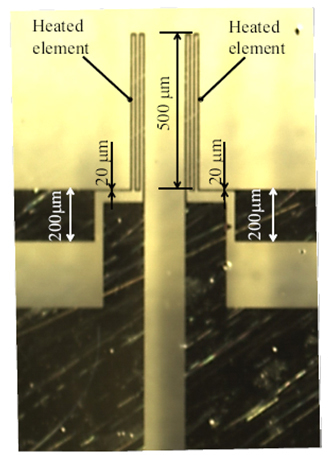 (17) Sawada, T., Terashima, O., Sakai, Y., Nagata, K., Shikida, M., Muramatsu, S. and Ito, Y., “Measurement of wall shear stress fluctuation with the micro-fabricated hot-film sensor in a boundary layer of a wall jet”, Journal of the Japanese Society for Experimental Mechanics, Vol. 14 (2014), PP. S13-S18.